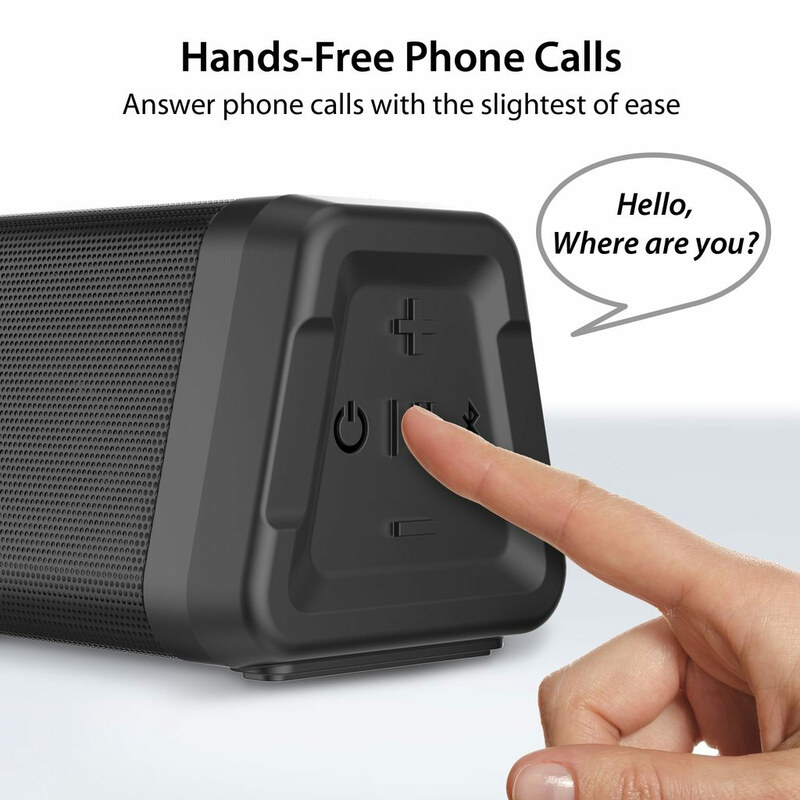 "Portable stereo V4.2 Bluetooth speaker"
Audmini Plus has two full range speakers and a bass booster with powerful enhanced sound quality. 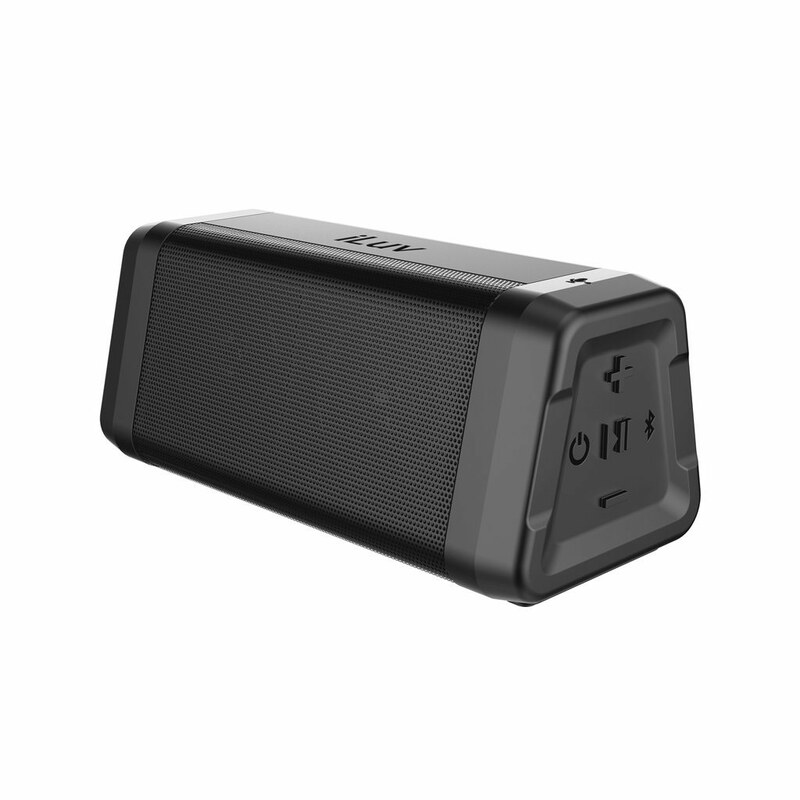 IPX5 rated water resistance; there is no gap between buttons and all ports are covered with a rubber cover, allowing you to play music outside without weather concerns, next to a swimming pool or inside a bathroom. Contains two full range speakers and an outstanding bass booster on the bottom, filling your room or outdoor area with strong, powerful HD sound. Enjoy clear stereo sound without distortion. Stream online music through all Bluetooth enabled devices. With a built-in microphone you can answer incoming calls by pressing the Play/Pause button then talk hands-free. If you have an MP3 player which does not support Bluetooth, you can still play music with a 3.5mm Aux-in cable (not included). Connect to Apple Mac or a computer with Window 10 via Bluetooth. Convenient low battery indicator. While your computer is safe indoors, the Audmini Plus can play music outside up to 33 ft away. Includes Audmini Plus, Micro USB cable, Manual.